If you think you’re seeing things as they really are, think again, says Ajahn Brahm. Unless you’ve had the deep experience of letting go known as the jhana states, there is only a myriad of illusions. Meditation is the way of letting go. First you let go of all perceptions of time to enter the timeless present moment. Then you let go of inner speech to rest peacefully in silent awareness. Next, you let go of most of your five senses’ activity, just keeping awareness of your breath. Then you let go of your breath and watch it disappear. At this stage, you can no longer see, hear, smell, taste, or feel touch. It appears that your body has vanished, and in its place you are mindful of a beautiful light, the nimitta. The nimitta is a reflection of the citta (the mind), seen through the sixth sense. Then you let go of all controlling to merge into the light and enter the bliss of the jhana world. Thus, jhanas are what happen automatically when you really let go; they are described as the deep stages of letting go. The Buddha clearly and repeatedly stated that full enlightenment could not be attained without the experience of a jhana. Yet today, some teachers claim that such a degree of letting go is unnecessary. They often cite the Buddha’s well-known brief teaching to Bahiya, as recorded in the Udana (Ud 1.10). Bahiya was not a monk. The sutta does not record him giving dana, or taking refuge in the triple gem, or keeping any precepts. Moreover, the sutta has no mention at all of Bahiya ever meditating, let alone reaching a jhana. Yet, after receiving a very brief teaching from the Buddha, Bahiya became fully enlightened—an arahant—within seconds! This episode is very well known in Buddhist circles, because it seems to make enlightenment so easy. It appears that you don’t need to be a monk, that you can be miserly and not give dana, that you’re not required to take refuge and precepts are unnecessary—even meditating can be avoided! What a relief! All you need is intelligence, and everyone thinks they are intelligent. (You think you are intelligent, don’t you?) This makes Bahiya’s teaching both attractive and notorious. Bahiya, you should train yourself thus: in the seen will be merely what is seen; in the heard will be merely what is heard; in the sensed1 will be merely what is sensed; in the cognized will be merely what is cognized. Practicing in this way, Bahiya, you will not be “because of that.” When you are not “because of that,” you will not be “in that.” And when you are not “in that,” then you will be neither here nor beyond nor in between the two. Just this is the end of suffering. And then Bahiya became fully enlightened. Sounds easy, doesn’t it? You have just read the same teaching. Did you achieve full enlightenment? No! Why not? As usual, there is more to the story than is recorded in the sutta. It is often the case that the suttas record only the highlights of a long episode. Just as wedding photos do not record the first meeting, the dating, and the arguments, so many suttas do not record all that occurred before the finale. So what is the full story of Bahiya? How can we put the finale, captured for posterity in the Udana, into its full context? Fortunately, the whole story is recorded in the Apadana (a biographical work containing the stories of the Buddha and his arahant disciples) and in the commentaries. What is the meaning of “in the seen will merely be what is seen”? It means to see without any distortion of the data, without adding or subtracting from it. In his previous life, Bahiya was a monk under the Buddha Kassapa. He and six other monks climbed a steep mountain and threw the ladder away, determined to remain on top of that rock until they became enlightened or died. One of the seven monks became an arahant, another became an anagami (non-returner), and the other five died on the mountain. Bahiya was one of the five who died. In Bahiya’s final life, he was a sailor who successfully crossed the ocean seven times. On the eighth voyage, he was shipwrecked but managed to survive by floating ashore on a plank of wood. Having lost all his clothes, he made temporary garments out of bark and went begging for food in the town of Supparaka. The townspeople were impressed with his appearance and offered him food, respect, and even a costly set of clothes. When Bahiya refused the new clothes, the people esteemed him even more. Bahiya had gained a comfortable living and so did not return to sea. The people regarded Bahiya as an arahant. Soon, Bahiya thought he was an arahant too! At that point, a deva discerned the wrong thought of Bahiya and, out of compassion, reprimanded him. That deva was none other than his former fellow monk who had become an anagami. The anagama-deva informed Bahiya about a true arahant, the Buddha, living at that time on the other side of India, at Savatthi. Bahiya immediately left Supparaka (present day Sopara, just north of Mumbai) and reached Savatthi in only one night. Bahiya met the Buddha while he was on alms round and asked for a teaching. The Buddha at first refused, for it was an inappropriate time. But on being asked a third time, the Buddha interrupted his alms gathering and gave the famous teaching presented above. Within seconds of hearing that dhamma, Bahiya was fully enlightened. A few minutes later, the arahant Bahiya was killed by a cow with calf. So, Bahiya’s background was exceptional. He had been a monk under the previous Buddha, Kassapa. His powers of determination were so strong that he went to meditate on the mountain with the resolve to become enlightened or die. In this life, he could hear devas speak to him and he could travel more than halfway across India, some 1,300 kilometers, as the levitator flies, in only one night. If you had such a background from your previous life, and had such psychic powers already in this life, then perhaps you, too, would have been enlightened when you read Bahiya’s teaching a few minutes ago! It is usually the case that one requires very deep samadhi – jhanas – to achieve such psychic powers. Certainly Bahiya would have had a predisposition for meditation, taking into account his previous life. Also, both the psychic power of the “divine ear” that enabled him to hear the deva, and the other psychic power that enabled him to travel so fast, suggest that he was practicing jhana before he heard the deva. Perhaps this was another reason why he considered himself an arahant. But there is more evidence to suggest that Bahiya had already been practicing jhanas, though it was not mentioned in the texts. Few people are aware that the very same teaching, which here I call Bahiya’s teaching, was also given by the Buddha to the old monk Malunkyaputta (Samyutta Nikaya 35.95). Malunkyaputta appears several times in the suttas. In particular, in sutta 64 of the Majjhima Nikaya (MN), occurring certainly before the occasion when Malunkyaputta was given Bahiya’s teaching, the Buddha first disparages Malunkyaputta for his wrong view and then teaches the necessity of attaining at least one of the jhanas in order to destroy the five lower fetters 2 (and thereby attain the level just below full enlightenment called non-returning). The Buddha said in front of Venerable Malunkyaputta that it was impossible to achieve non-returning (let alone full enlightenment) without a jhana, just as it was impossible to reach the heartwood of a tree without first going through its bark and sapwood. Think about it. So, Venerable Malunkyaputta was first taught the necessity of jhana, and then later he was given Bahiya’s teaching. After hearing Bahiya’s teaching, “dwelling alone, withdrawn, diligent, ardent, and resolute,” Malunkyaputta soon became an arahant. 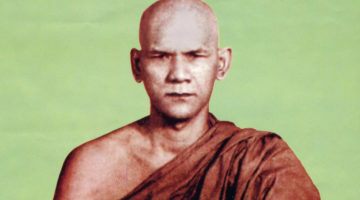 It is therefore certain that Malunkyaputta achieved jhana before Bahiya’s teaching could be effective, or else the Buddha would be blatantly inconsistent. It also adds weight to the inference that Bahiya also had experience of jhana before he heard the same teaching – otherwise he would have reached the heartwood of the tree without going through its bark and sapwood! So what did Bahiya and Venerable Malunkyaputta see in the Buddha’s words that generated the arahant experience? What is the meaning of “in the seen will merely be what is seen”? It means to see without any distortion of the data, without adding or subtracting from it. As modern psychology knows, what comes to our attention as “the seen” has already been sifted and distorted by our desires and aversions. This process of distortion occurs prior to the event of cognition. It is impossible to see this process as it occurs. It is subconscious. We can only infer its occurrence: we discover that our preferences have embellished the data in order to present to our mind what we want to see, while hostility has denied any access to the mind those features that we don’t want to see. What we see is rarely merely the seen. That which we see with so-called bare attention, not based on jhana, is seldom the truth. It is not the way things are; it is only the way things seem. Our views bend our perceptions to agree with the view. The perceptions then form the evidence for our thoughts. Then the thoughts argue in support of our view. It is a self-justifying cycle. This is the very process of delusion. We should have enough life experience to know this by now. When you men see a beautiful woman, what do you see? Most people, even monks, do not see what is really there – just muscle, sinew, skin, and hair – they see, instead, an attractive woman. Where did that come from? Our sexual desire added it on, distorting the reality. When you see the recently deceased body of your mother, what do you see? Again, you do not see what is truly there – just muscle, sinew, skin, and hair. Instead you see a tragedy, because your attachment added on grief, distorting the reality. In northeast Thailand many years ago, in poor and remote jungle monasteries, I had to eat grasshoppers, frogs, ants, and other crawling insects. That was all there was to eat. A regular dish was ant-egg curry. When you read this just now, were you practicing “in the seen will be merely the seen” or did you add on your own disgust? Fried grasshoppers were actually quite delicious. How much of our own likes and dislikes do we add on to the seen? Twenty-five centuries before modern psychology, the Buddha identified the process that distorts cognition and called it the vipallasa.3 He explained this essentially circular process starting from view. Our views bend our perceptions to agree with the view. The perceptions then form the evidence for our thoughts. Then the thoughts argue in support of our view. It is a self-justifying cycle. Views generate perceptions that make thoughts that support the views. This is the very process of delusion. For example, someone believes in God. They hold a theist view. That view will deny access to the mind any perceptions that challenge that view. Scientific facts, such as those in the fields of astrophysics, quantum mechanics, geology, and biochemistry, become “no-fly” perceptions. They are rejected before they even register in the consciousness, because they are antithetical to the view. Only perceptions that support and conform to the God view survive the subconscious sifting process. These pro-God perceptions then form the data for our thoughts to work on. The data is convincing; it supports our view. We become convinced that there is a God, and our view grows ever more resistant to challenge. Such is the origin and progress of many religions, which are all convinced that they are right. They are mistaking the way things seem for the way things are. Or take the abortion debate. Are you “pro-life” or “pro-choice”? Whichever one of these two views you hold on to, it will corrupt your perception by selecting perceptions in support of your view and blinding your consciousness to any perceptions that challenge your view. Your thinking will be built up from your perceptions, in the same way that a house is built out of bricks. Such misinformed thinking justifies your view so strongly that you simply cannot understand why everyone else doesn’t see it the right way, which is your way! One last example: Ask yourself, is meditation easy for you? If you hold the view that meditation is difficult, and you are very attached to that idea, then meditation will seem difficult. Where did that view come from? Maybe, a long time ago, someone with authority told you that meditation was difficult, and you believed them. Unfortunately, that view has stuck. Or perhaps you began meditation without clear and accurate instructions, and you found it difficult then. On the basis of such limited experience, you formed the solid view that meditation is always difficult. However that view arose, once it is there, it makes meditation difficult! Your attachment to this view twists your perceptions. The only perceptions that make it into full consciousness are those that perceive the difficulties in meditation. Based on those negative perceptions, you think meditation is, in fact, difficult. You, and only you, have just made meditation difficult! When we have some understanding of what is going on, we might be able to change such a view of meditation. Allow me to brainwash you! Let me convince you that, in spite of who said what, in spite of all your previous lack of success, MEDITATION IS EASY! MEDITATION IS EASY! MEDITATION IS EASY! Let me coach you into believing that you can meditate well. Help me recondition you into believing in your innate ability to meditate well. You have been reborn into a precious human body and are now reading the priceless teachings of Buddhism. You are alive when the dhamma is thriving and you have met that amazing dhamma. You are such a rare being. You have worked for lifetimes for such an opportunity as this. With so much going for you already, of course you will be able to meditate well. The fact that you are reading this proves that you have got a huge store of good kamma supporting you. Other people, much less able than you, have attained jhana, so why not you! Once you have concocted a positive view of your ability in meditation – presto – you perceive only success in meditation, and you think only success in meditation. You have just made meditation easy! You have opened the door to tranquillity, inner bliss, and the jhanas. Try it! The point is that the view that meditation is difficult for you and the view that meditation is easy are both untrue. They are both the product of distorting what is seen, heard, sensed, and cognized. They are both delusion. It is just that the positive view is a more useful delusion. In fact, it is the view that will lead you to discovering the truth. The only way to suppress these five hindrances is through the practice of jhana. The Buddha explained that it is the five hindrances that distort perception and corrupt our thinking. He called the five hindrances the nutriment that feeds delusion (Anguttara Nikaya (AN) 10.61). The first hindrance, sensual desire, selects what we want to see, hear, sense, and cognize. It often embellishes the truth. It presents to our consciousness the product of wishful thinking. The second hindrance, ill will, is the negative impulse that blocks us from seeing, hearing, sensing, or cognizing what we don’t want to know. It blinds us to what is unpleasant, and to what is contrary to our view. Psychology knows the second hindrance as the process of denial. The third hindrance is sloth and torpor. This does not distort what we see, hear, sense, or cognize; rather, it buries it in a fog so that we are unable to discern clearly. The fourth hindrance, restlessness and remorse, keeps our senses on the run, so fast that we do not have sufficient time to see, hear, sense, or cognize fully. Sights do not have time to fully form on our retina before the back of the eye has another sight to deal with. Sounds are hardly registered when we are asked to listen to something else. The fourth hindrance of restlessness, and its special case of remorse (inner restlessness due to bad conduct), is like the overdemanding boss in your office who never gives you enough time to finish a project properly. The fifth hindrance is doubt, which interrupts the gathering of data with premature questions. Before we have fully experienced the seen, heard, sensed, or cognized, doubt interferes with the process, like a cocky student interrupting the teacher with a question in the midst of the lecture. It is these five hindrances that distort perception, corrupt thinking, and maintain a deluded view. It is well known among serious students of Buddhism that the only way to suppress these five hindrances is through the practice of jhana. As it says in the Nalakapana Sutta (MN 68), for those who do not attain a jhana, the five hindrances (plus discontent and weariness) invade the mind and remain. Anything less than jhana is not powerful and lasting enough to suppress the five hindrances sufficiently. 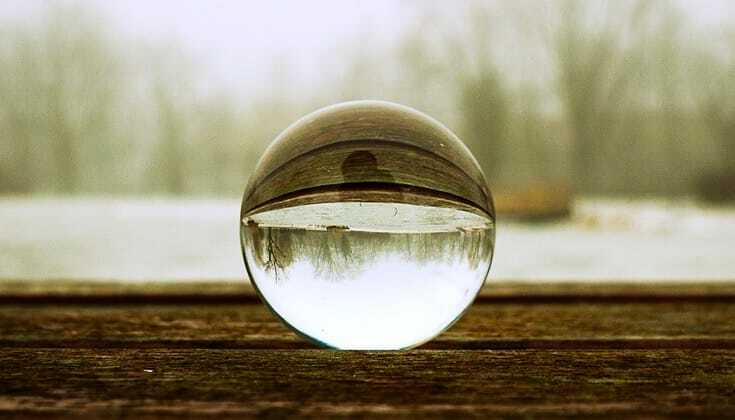 So, even if you are practicing bare mindfulness, if the five hindrances are still active at a subconscious level, you are not seeing things as they truly are; you are only seeing things as they seem, distorted by these five hindrances. The data supplied by the jhana experience destroys the delusion of self, soul, me, and mine. 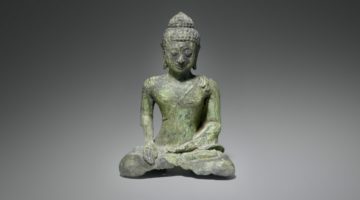 Thus, in order to fulfill the Buddha’s teaching to Bahiya and Venerable Malunkyaputta, in order that “in the seen will be merely what is seen, in the heard will be merely what is heard, in the sensed will be merely what is sensed, and in the cognized will merely be what is cognized,” the five hindrances have to be suppressed and that means jhana! It is true that the five hindrances become suppressed just prior to jhana, in what the commentaries call upacara samadhi, “stillness of mind at the threshold of jhana” (my own translation). So, how can you know for sure that these insidious five hindrances, which usually operate at a subconscious level, are fully suppressed? How do you know if you are in upacara samadhi? The acid test for upacara samadhi is that you can move effortlessly over the threshold into first jhana. In upacara samadhi, there is no obstacle, no hindrance, between you and jhana. If you can’t enter jhana, the five hindrances are still there. So, to make sure they are gone, you try entering a jhana, and you enter. When the mind emerges from the jhana, it rests on the threshold, in upacara samadhi, for a long time, just as when you leave a house, you stand on the threshold again. It is at this point, during the period immediately after a jhana experience, when the five hindrances no longer invade the mind, that one is finally able to practice “in the seen is merely what is seen, in the heard is merely what is heard, in the sensed is merely what is sensed, and in the cognized is merely what is cognized.” As the Buddha repeatedly said (e.g., AN 6.50), only as a result of jhana (samma samadhi) does one see things as they are (yatha-bhuta-ñanadassanam) and not as they seem. An experience of a jhana can blow you apart. What do I mean by that? I mean that the data supplied by the jhana experience, contemplated immediately after in upacara samadhi, when the hindrances cannot distort anything, destroys the delusion of self, soul, me, and mine. In the first jhana mostly, and in the higher jhanas completely, the potential to do, will, and make choices – what I call “the doer” – has disappeared. The data is so clear, and the five hindrances are no longer able to prevent you from seeing that there is no one at the controls of your body and mind, to put it bluntly. Will is not a self, or a product of a self. Will is just an impersonal natural process that can come to an absolute cessation. You have seen this for yourself, and you can trust this knowledge because it occurred when the corrupting five hindrances were suppressed. This insight is the most certain that you have ever known: free will is a delusion. You, the reader, will be incapable of agreeing with me. This is because your five hindrances are still active, and they will prevent you from seeing this. So, experience a jhana first, then investigate this matter right after. Then try arguing with me! Also, in jhana – real jhana, not fake ones – the seen and the heard and the sensed all disappear. The external five senses cease. This data is also clear. 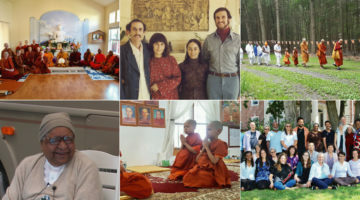 When one reflects on the complete absence of these five senses within the jhana experience, in the hindrance-free state of post-jhana upacara samadhi, one will see with certainty that there is no self, soul, or me observing the sight, hearing the sounds, or sensing the smells, tastes, and touches. There is no self, soul, or me knowing the known. All forms of consciousness are also seen as an impersonal process that can come to a complete cessation. In short, you are not identical with your mind. The mind is just a natural process. It can completely stop. It does stop, once and for all, at parinibbana! Once again, you, my reader, will be incapable of agreeing with me. The five hindrances, which are active within you now, under the surface of cognition, prevent you from seeing the truth. A jhana experience challenges your most basic view, the view that “You are”! Don’t worry about such disagreements for now. Instead, meditate until you have experienced jhana and suppressed those five hindrances. Then see if I’m right! Just to close off the loophole that might allow you to think you can escape nonexistence of a self or soul by identifying with a transcendental state of being beyond what is seen, heard, sensed, or cognized, the Buddha thunders, “and you will be neither here” (with the seen, heard, sensed, or cognized) “nor beyond” (outside of the seen, heard, sensed, or cognized) “nor in between the two” (neither of the world nor beyond the world). The last phrase confounded the sophists! I hope that my argument has been strong enough to challenge you, or rather to confound the vipallasa driving your sensory processes. The Buddha’s brief teaching to Bahiya and Venerable Malunkyaputta is not some shortcut for the super intelligent. The practice of “in the seen will be merely what is seen …” requires the suppressing of the five hindrances. The suppressing of the five hindrances requires jhana. Jhana requires the rest of the noble eightfold path, the first seven factors. It requires faith in the triple gem, the keeping of precepts, and the practice of dana. There is only one path to nibbana, and that is the noble eightfold path. There are no shortcuts. 3 Vipallasa: Perversion or distortion of perception, thought, and view – taking what is impermanent to be permanent; what is suffering to be happiness; what is empty of self to be a self; and what is not beautiful (asubha) to be beautiful (cognitive distortion). 4 Dhammapada, verses 273 and 274 (English translations from Ven. Narada’s Dhammapada).